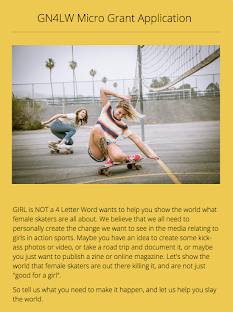 Girl is NOT a 4 Letter Word: What's Happening This Weekend in Women's Skateboarding? 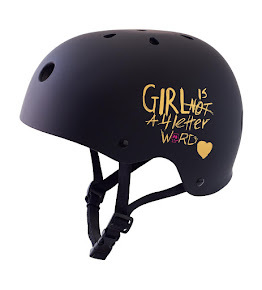 What's Happening This Weekend in Women's Skateboarding? 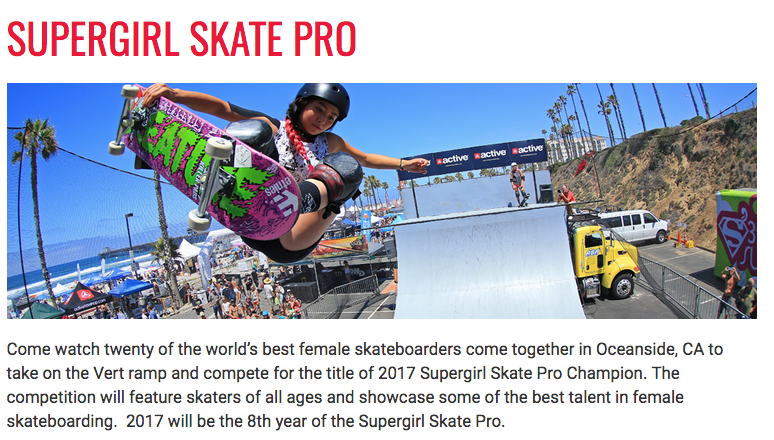 Get ready - so much going on this weekend in women's skateboarding - pick an event (or 3) and get out there!! 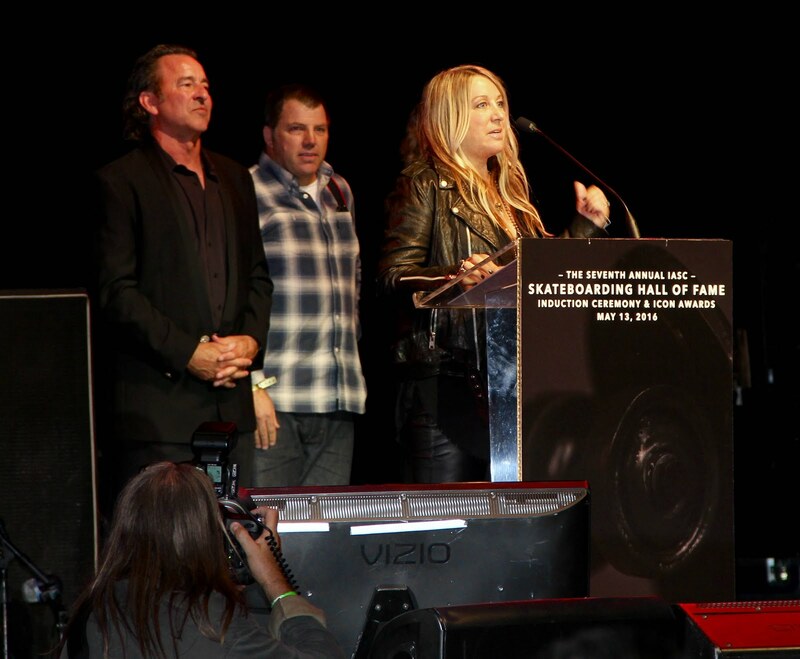 We have all the info below on what is happening around Southern California. 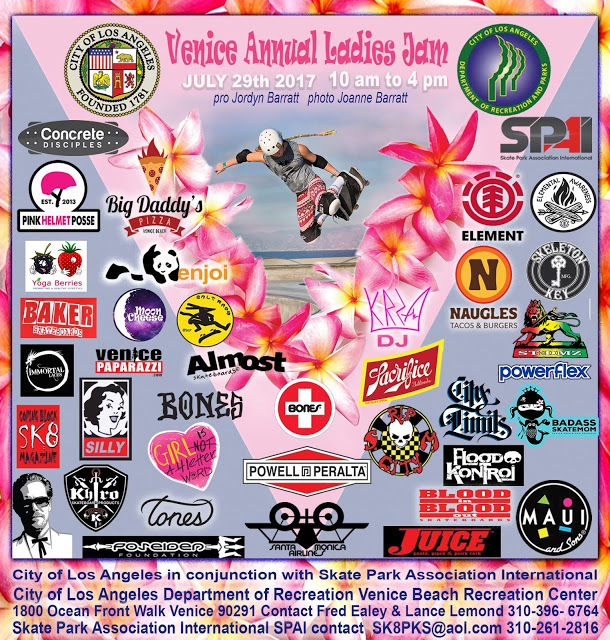 VENICE SKATEPARK Saturday, July 29 / 10 AM - 4 PM - head to Venice Skatepark to skate with a ton of other girls at the Venice Annual Ladies Day Skate Jam - anyone can enter the age range comps, or just skate for fun. DJ Kyrza will be spinning tunes, food by Naugles Tacos, and there is a rad vendor village with cool skate brands. Juice Magazine will have OG Legend Patti McGee giving out the current isue of the mag and signing autographs on her feature inside. 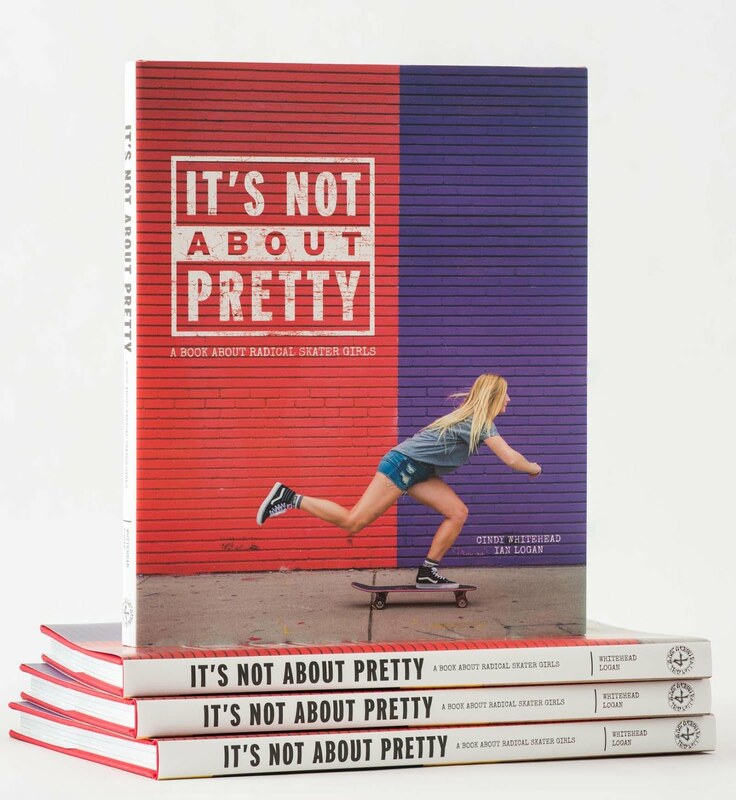 Pro skateboarder and X-Games Silver medalist Jordyn Barratt will be skating and signing autographs during the day as well. 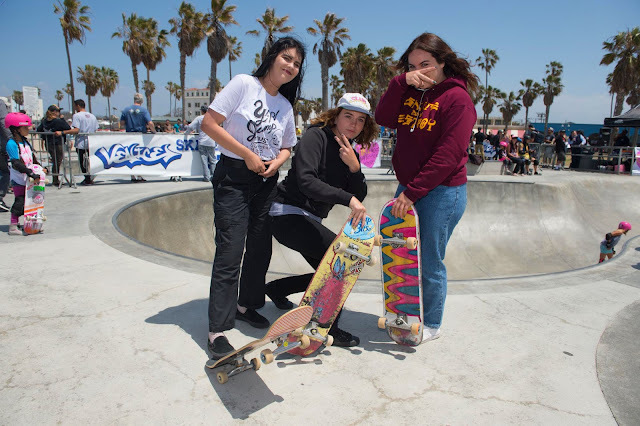 What could be better than an entire day at the beach with your friends skateboarding the iconic Venice Skatepark? Oh yeah - tons of give-a-ways and prizes will be given out from the sponsors listed above on flyer - See you there! HUNTINGTON BEACH Sunday, July 30 The Vans Park Series Women’s Continental Championships are taking place in Huntington Beach - watch the girls battle it out for that coveted first place finish that streamlines them directly to the World Championships in China on September 23rd! Contest Prelims take place from 10 AM - 12 PM and finals from 12 - 1 PM. 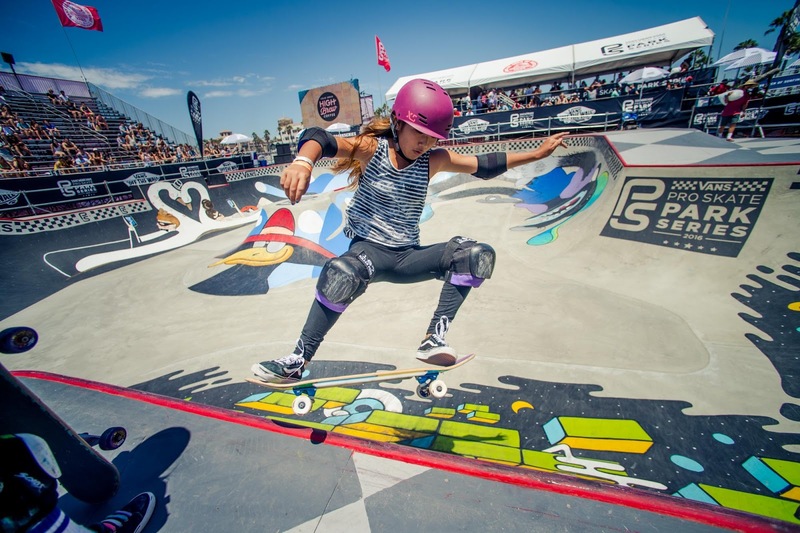 The Vans Pro Park Series Women's Contest on Thursday, August 3 - more details to come! 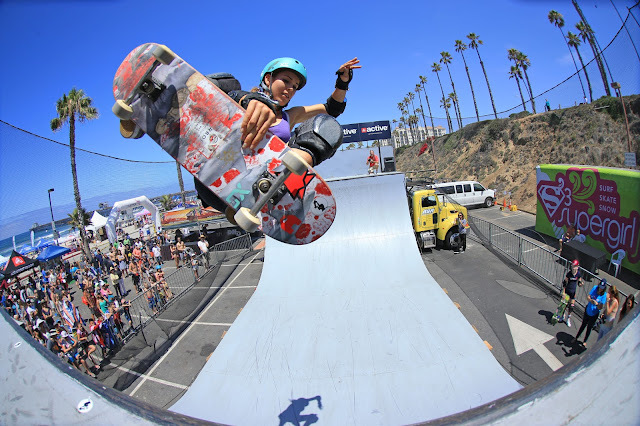 I always thought skateboarding was a cool sport as I grew up watching Jake in ‘the American dragon’ cartoon series. 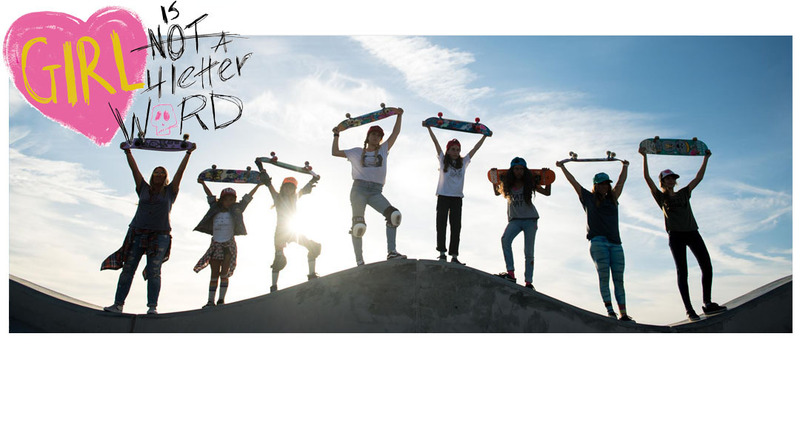 Gotta say women skateboarding sounds even cooler.